Rick Spradling is a native of the USA, and received a bachelor’s degree in English from the University of West Florida, a master’s degree in English literature from Indiana University, a second master’s degree in Educational Administration from the University of Alabama – Birmingham, and a Ph.D. in Educational Leadership from the University of South Carolina. From 1973 to 1983, he held various teaching positions in both elementary and secondary schools in Indiana, Zambia, and Cameroun. Dr. Spradling was an assistant principal in Indiana, and was director of the American International School of Libreville, Gabon from 1983-87. From 1988-1990, he taught as a Visiting Professor of Educational Leadership at the University of South Carolina. Dr. Spradling was director of the American Cooperative School of Tunis, Tunisia from 1990-1997, during which time he was named a National Distinguished Principal (1996). From 1997-2005, he was director of the American International School in Vienna, Austria. 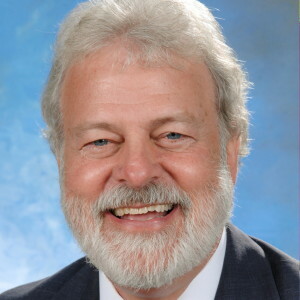 He has served on numerous accreditation teams and advisory boards, written several articles for national and global publications, and given presentations at various regional conferences, as well as serving on accreditation committees for Middle States Association (MSA) and the European Council of International Schools (ECIS). During his overseas career, he has served as president of the Association of International Schools in Africa (AISA), president of the Mediterranean Association of International Schools (MAIS), and president of the Central and Eastern European Schools Association (CEESA). From 1999-2005, he served on the board of ECIS, acting as treasurer of the ECIS board for two years. Since 2005, Dr. Spradling has been Superintendent of the American School of The Hague, in the Netherlands. In 2008, he began his current term of service on the Board of the Council of International Schools (a global organization supporting over 600 international schools), assuming the role of Board Chairperson in 2009. In 2012, Dr. Spradling was selected as the International School Superintendent of the Year.